VANCOUVER - A legal adviser in a high-profile undercover sting in British Columbia told the police leader she had doubts about the suspect's intention to carry out a terrorist attack. Martha Devlin calls John Nuttall "a nut" in an email sent to the operation's head in June 2013 -- less than a month before Nuttall and his wife Amanda Korody planted what they thought were bombs. The lawyer writes that Nuttall appeared to have no plan and that he was willing to say anything and make things up. 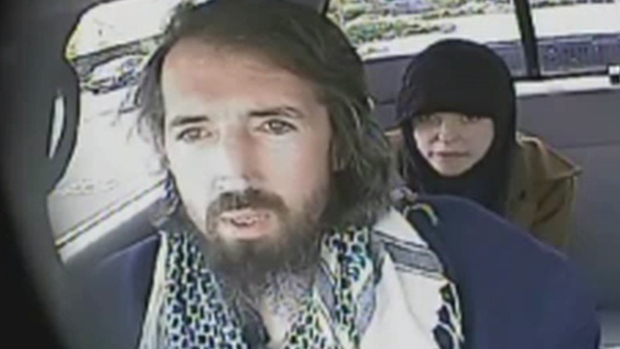 Nuttall and Korody were found guilty last year of plotting to blow up the provincial legislature on Canada Day 2013. The conviction is on hold while defence lawyers argue police entrapped the pair, whom they describe as poor, recovering heroin addicts. In his email response the operation's commander, RCMP Sgt. Bill Kalkat calls Nuttall a "dangerous nut."